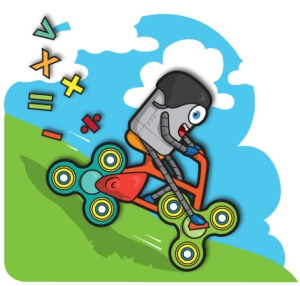 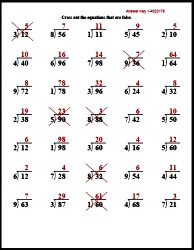 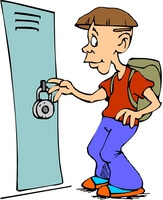 Sixth grade is a crucial year for students to have complete understanding of basic skills in the four operations as well as the comprehension of prime numbers and factorization, number theory, algebraic reasoning, and equations. 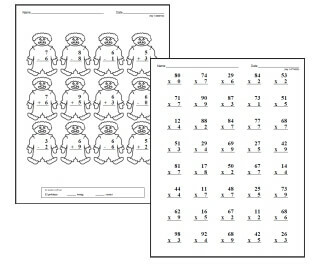 Other resourceful worksheets cover fractions in a deep, yet entertaining way, from addition and subtraction to equivalent fractions, ordering, comparing, and improper fractions. 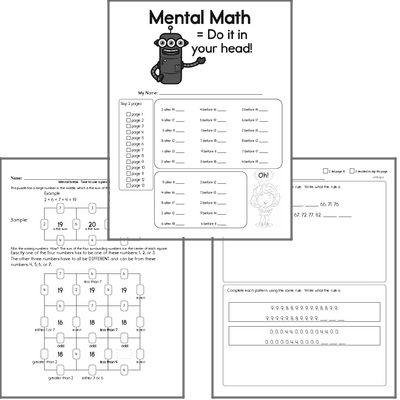 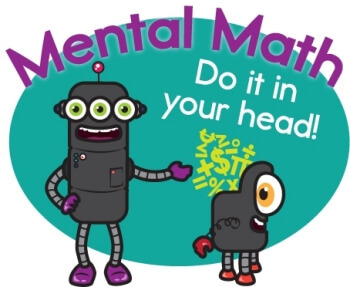 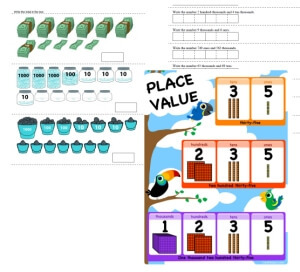 Essential decimals skills, geometry, graphing, and probability are covered in other engaging worksheets. 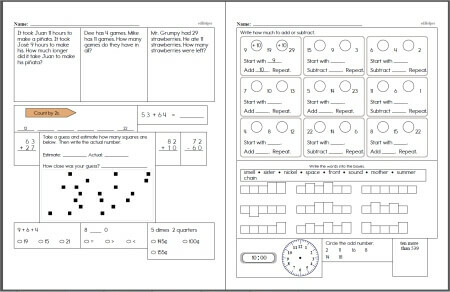 Use the dynamic tool to customize entertaining worksheets for your students as they get ready for higher level mathematics! 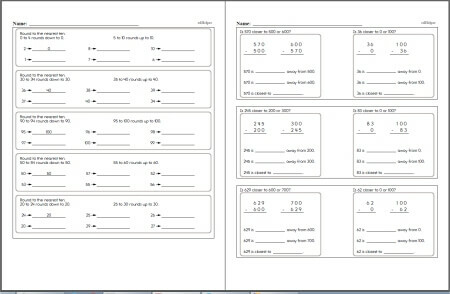 Each book contains word problems, mixed math, and other sixth grade review materials. 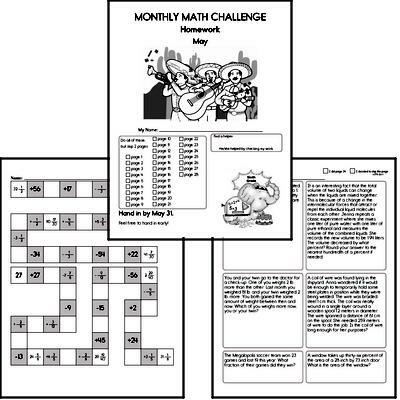 Use it each week for daily practice in your classroom. 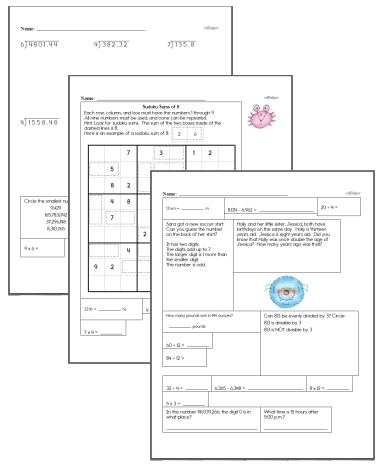 Build a Custom Word Story Worksheet! 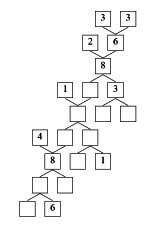 For best results, pick multiple options. 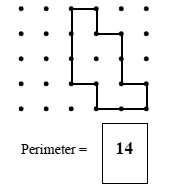 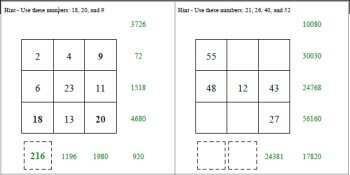 For example, you will not find division problems in the grade 1 material. 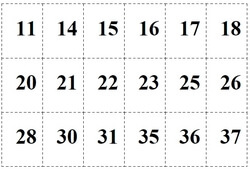 Write each number in two other ways. 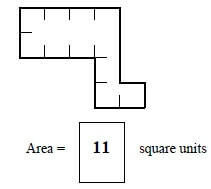 Write the place and the value of the underlined digit. 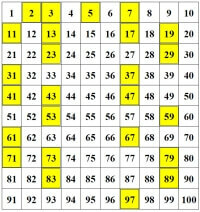 Write each number in standard form (information given is mixed up). 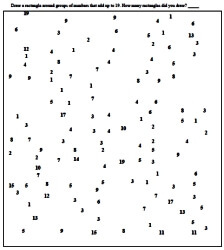 Fill in the missing number (not in order of place value). 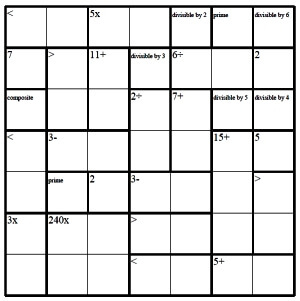 Write each number in expanded form using exponents. 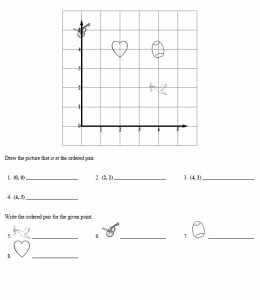 Write an equation for each problem. 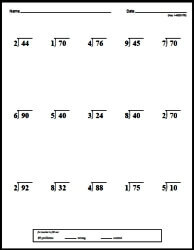 Then solve the equation. 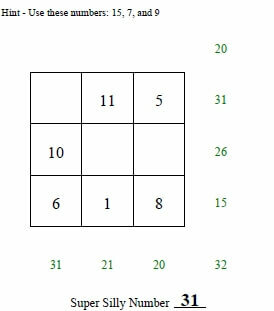 Is each fraction in simplest form?